With SEO getting tougher, you need to really tighten the reins and focus all your strategies towards quality. Google is becoming more stringent and intensifying its algorithms in a bid to provide readers with quality. It is filtering out the high quality sites by updating its algorithms periodically. So if you want to maintain your position in the search engines then you need to come up with excellent quality and make your site content stand out from the rest. Here are a few tips that you can adopt to take your website to the next level. * What you need to understand most importantly is that your site caters to individuals and not to search engines; so it should be optimized with people in mind. 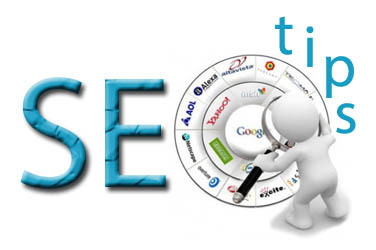 With people visiting your site it will automatically catch the attention of search engines. Google or any other search engines only wants to provide the best results to their viewers. So that should be your first priority. * You need to engage your viewers and quality content can help you do this. Come up with excellent content to connect with your audience. Provide relevant information to your readers that can be accessed only at your site and not elsewhere. That will make them come back again and again to your site and this will not go unnoticed by the search engines. Try and include more and more conversational content on your site. * Explore the option of guest blogging. This can help you gain recognition for your site and good, quality link from content- rich sites. * Social media is gaining importance in SEO. Ensure that you have the social sharing options on your site and remain active on the social media front with regular updates and shareable information. Google and other search engines place a lot of significance to social media activity and so you cannot afford to overlook that aspect. * Mobile marketing cannot be overlooked. Already the searches made from mobiles are way more than searches made from laptops or desktops. You must optimize your site design and content keeping this trend in mind. You may lose out on a lot of viewers if you ignore the mobile market. * Make use of the web tools available for free to enhance the quality of your site. They can help make your SEO process easier. * Associate your site with other excellent quality sites but take care that they are quite similar and not radically different from the content of your site. Conclusion: Just lay more focus on quality and not on quantity. The search engines have become more vigilant and can detect malicious techniques. Adopt white hat techniques and steer away from devious means to better the SEO efforts. Focus should be on people and not on search engines. Be patient and wait for your SEO efforts to bear fruit and do not be too pushy. That will surely see your website gaining ranking on the search engine results.